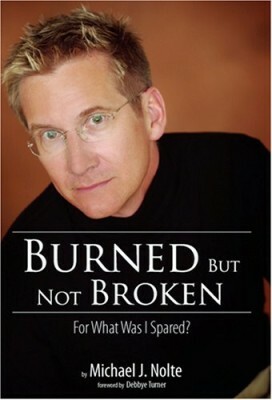 Burned But Not Broken: For What Was I Spared? Home > Books > Burned But Not Broken: For What Was I Spared? Life for the man whom many considered the go-to-guy became one of complete dependency in a blinding, searing explosion. His story is one of courage, inspiration, and hope for both the individual that suffers catastrophic injury and the family that loves them. Nolte blends his rehabilitation with his faith journey in a way that brings the spiritual and the secular components of all our lives into beautiful balance. After more than 25 years of enjoying a life he created for himself (or so he thought), this is the remarkable story of one man s search for purpose in living his second life.